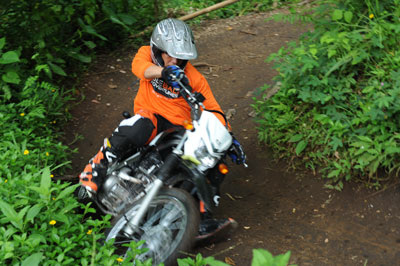 Discover the unbeaten tracks of Bali the way it has never been to be astride a real Enduro trail bike. Accelerate, brake, clutch, jig and jump over single trails amid rice paddy fields, shrubbery and rainforest over Bali’s most fertile region on the slope of the magnificent Mt Batukaru in Tabanan. lake where refreshment is prepared before the real adventure undertakes.